Someone asked me the other day why I like to travel. Of course, there are a lot of reasons. 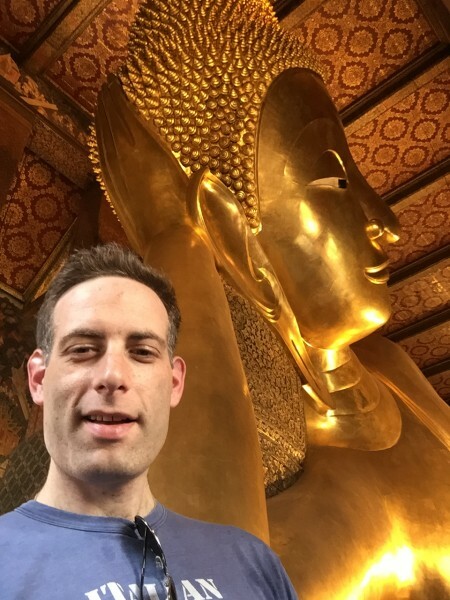 Vacations are nice to get away from the office and chill out, but I didn’t need to fly 20 hours to Thailand like I did this March just to find entertainment and relaxation. My journey to Thailand consisted of a 14-hour flight to Japan and then another 6 hours to Bangkok. On the way I sat next to an Israeli to my left who had traveled to Thailand many times, including a vacation with his family in which they spent 21 days there—I wish Americans could take long vacations like that. On my right was a middle-aged Indian man living in Taiwan, who also happened to be a machinery dealer. Both men chuckled as they mused about the plethora of opportunities for mischief in Bangkok. They advised me to stay in Sukhumvit, the modern cosmopolitan district of the city with the best hotels. Booking.com steered me to Hotel Parinda, a four-star hotel with an impressive user rating of 8.6, where I paid $50 a night for a huge, beautiful room. The catch to the great deal, I soon realized, was that although the hotel was centrally located for public transit, shopping and entertainment, I was forced to walk 10 minutes down the infamous street, Nana Thai Alley, to get to the main drag. Nana is one of the most well-known red light areas of Bangkok, lined with seedy bars, massage parlors and working girls hanging out on the sidewalk trying to pull you into their respective establishments. Making things more interesting was that at least 50 percent of the “working girls” on Nana were transexuals, which in Bangkok they call “ladyboys.” I now have a window into how it must feel to be a sexually-harassed woman as sometimes it was impossible for me to avert the arm of eager ladyboys while I walked down the narrow sidewalk. But after I traversed the sleazy hoopla of Nana, Bangkok beamed with a wonderful energy. It has a big city feel with tons of skyscrapers, people and traffic. However, at the same time it has a much more chill vibe then other big cities I’ve spent time in like New York or Tokyo. Almost everyone I spoke with was friendly, and it felt a lot safer than other big cities I’ve traveled to. I heard virtually no talk about violent crime or pickpockets. People freely walk the streets late into the night and unabashedly show off their iPhones. Most of the time in Bangkok people seemed to be moving around at a slow or medium pace, rather than rushing frantically. All over the place people are contentedly eating some great inexpensive food or beautiful fruit served on the street late into the night. However, once one enters the tourist sites like the Grand Palace and the Buddhist temples the mellowness is thwarted by the throngs of foreigners. Another wonderful thing about visiting Thailand is how cheap things are—at least for foreigners. One can buy a 20 ounce bottle of water at 7-11 for about 7 cents and get a nice meal on the street for about $2 or $3. A one-hour foot massage or Thai massage (with no happy ending) is generally about $12. I bought two pairs of shorts at the weekend market for $3 each. Things have to have to be cheap there of course, otherwise nobody could afford anything. So I had to marvel at all the Thai people walking around with brand new iPhones. Massage therapists, people working at the markets, and taxi drivers had iPhone 6 Pluses which must have cost them at least $1,000. I would not be surprised if that accounted for a tenth of their yearly income. Despite their poverty the Bangkokians are serious about shopping. I visited a farmers market that stayed open 24 hours a day. 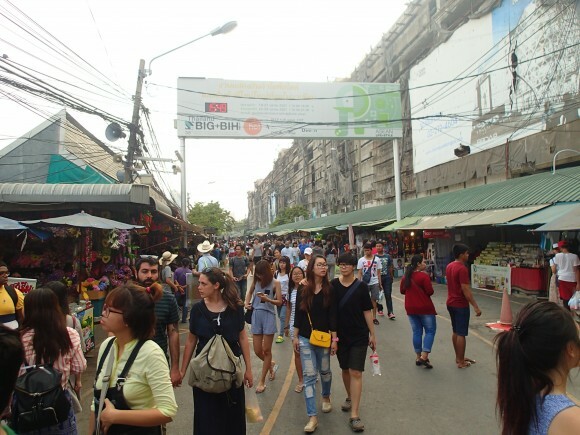 I also attended the famous Chatuchak market both Saturday and Sunday, which is the largest market of its kind in the world. It contains 27 different sections, over 27 acres containing over 15,000 booths filled with art, antiques, clothes, and crafts from all over Thailand. In two days I was only able to cover two out of the 27 sections. Each day over 200,000 people (30% tourists) visit the market. I bought a crocodile belt for $45, a crocodile wallet for $70—easier to get crocodile over there—an original painting, a wallet, t-shirts, shorts, a table cloth for my mom, among many other goodies. It’s possible to bargain for everything, though when I bought shorts for $3 I didn’t challenge the retail price. After the market ended on Saturday I watched one of the store owners go to her car. 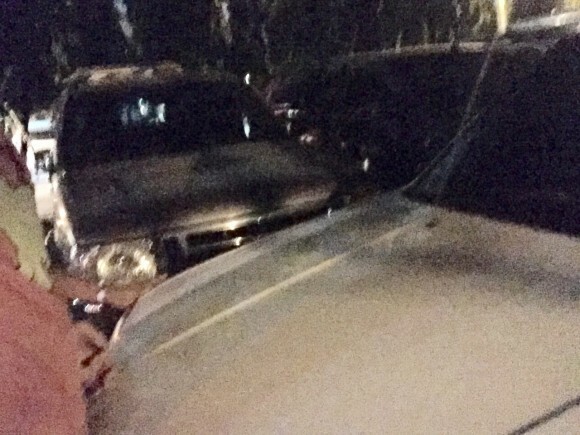 A van was double-parked perpendicularly in the lot, blocking her car. Instead of panicking or calling the police, she and her assistant simply pushed the van a few feet out of the way. The van’s driver had kept it in neutral so anyone could move it when they wanted to get out of the lot. Genius! Why haven’t I ever seen someone do that in the United States? Are we too dishonest or greedy to trust each other in that way? Why in a place with so much poverty did I often feel safer than in my hometown of Chicago? Question: What’s the best bargain you ever got? Keeping that van in neutral sounds like a great idea out there. But here, where everyone is constantly waiting for you to slip up in order to go sue happy, not such a great idea. Best bargain I ever got? The divorce from my first wife. Cost $122,000 total with vicious custody battle, and was worth every penny. I’d have paid infinitely more to extract myself from that nightmare. Why are divorces so expensive? They’re worth it! The best bargain was $3 to get into a Freshman mixer at the University of Michigan. Surveyed the women on the floor and introduced myself to 17 year old Risa Levine, eho became my wife 17 months later. That was 1969. It’s been a remarkably wonderful marriage. Come on down and visit Calumet City walk over to Harrison Park, different looking people and a different way of life and you’ll save 20 hours of travel time, diversity is a good thing. Noah, I love to read your travel blogs. You are the Anthony Bourdain of TMW. too. Tool makers making the same as 25 years ago. In Chicago you can not own a firearm, correct? Loosen up your gun laws and maybe Chicago can be at least as safe as Thailand. The best bargain I ever got, at least in recent years would be a 1939 U Harley Davidson I picked up at a swap meet in Oley, Pa. 4 years back. I’m glad you had a great experience in Thailand. My wife’s mother is from the northern part of Thailand, so I had the wonderful experience of visiting my wife’s family there and getting the non-tourist experience. Hopefully you were able to visit the mountains in the north and the beaches in the south. Believe it or not, most things are actually less expensive up north than Bangkok. In the islands in the south, our friend on the beach was a baby elephant and my son has a beautiful painting in his room from an elephant artist. Red Chinese department stores in Kowloon Hong Kong, incredibly cheap prices and a wide variety of everything you can think of. Only downside it is an incredibly high strung city. Australia is laid back and a little pricey. Singapore is laid back in a s strict way, with very good shopping. Thailand sound very interesting.